What's a good hex editor/viewer for the Mac? I've used xxd for viewing hexdumps, and I think it can be used in reverse to make edits. But what I really want is a real hex editor. One recommendation I've gotten is Hex Fiend. 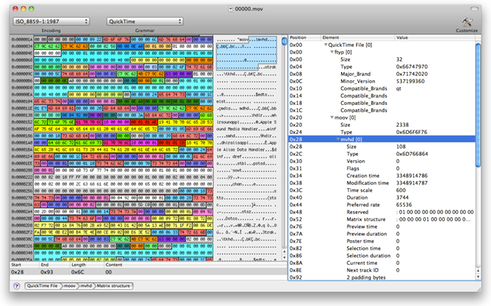 On http://www.synalysis.net/ you can get the hex editor I'm developing for the Mac - Synalyze It!. It costs 7 € / 40 € (Pro version) and offers some extra features like histogram, incremental search, support of many text encodings and interactive definition of a "grammar" for your file format. The grammar helps to interpret the files and colors the hex view for easier analysis. I have recently started using 0xED, and like it a lot. Not the answer you're looking for? Browse other questions tagged macos hex hex-editors or ask your own question.